The 2017 apple season has begun! Like last year, the barn is open from noon to 5 PM, Wednesday through Sunday (closed Monday and Tuesday). Please note, we are a rustic farm stand! We haven’t changed many operations over the past 30 years. This means we can provide our apples at a fair price… This also means our apple barn has a gravel floor and we are a CASH ONLY business! Unloading Gala from the farm truck. 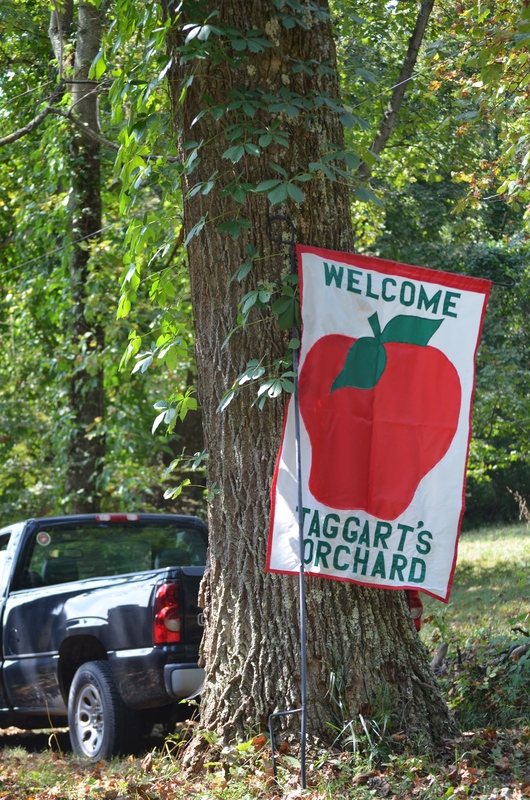 Taggart’s Orchard, 2017. We currently have Gala, Paula Red and Ginger Gold apples, as well as local peaches. We also have a selection of jams and jellies from Amish country. 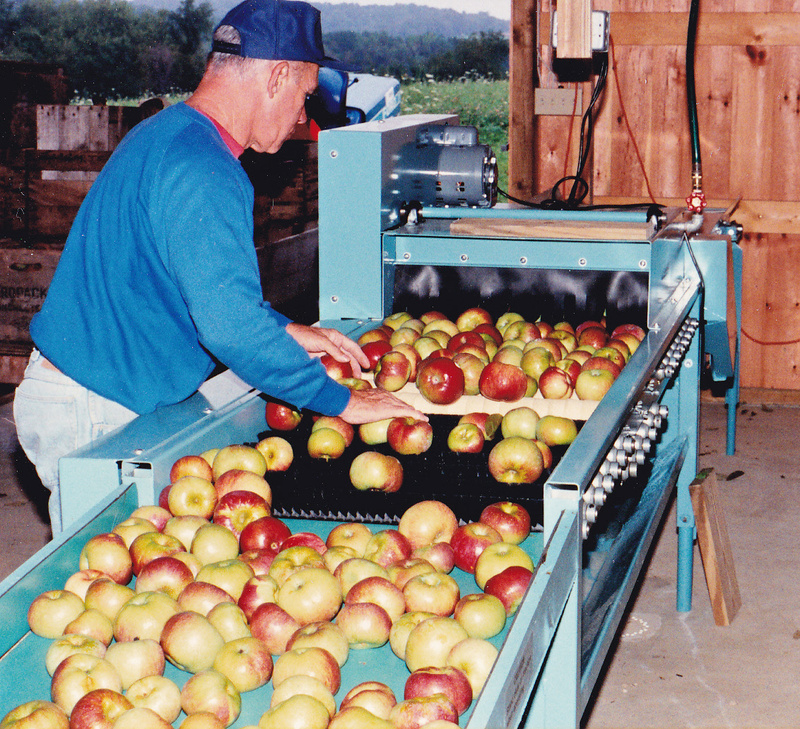 Fresh cider won’t be available for another week or two – cider apples must be harvested and processed first. These cool nights we’ve been having recently will help color and ripen our later varieties. Fingers crossed! Hope to see you at the orchard soon! This weekend we have apple cider in stock, as well as Gala and Ginger Gold apples. As we move into mid-September we’ll be harvesting additional varieties. Give the orchard a call to check on the availability of your favorite. 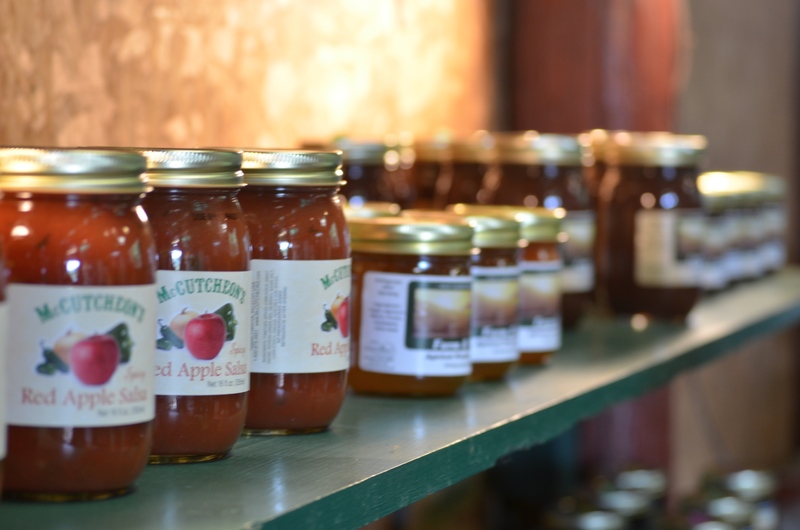 We also have a selection of Amish-style preserves, snacks and apple and pumpkin butters. New in 2016: Apple syrup! Give it a try on waffles or apple pancakes! Hope to see you at the orchard soon! Hello, apple lovers! Do these hot, humid days having you looking forward to fall yet? While most of our apples need a few more weeks on the trees until they’re ready for harvest, the barn doors will be opening on Wednesday, August 31. Our seasonal hours are noon to 5 PM, Wednesday through Sunday. We’re looking forward to see you this year! November is here, and all our apples have been harvested. 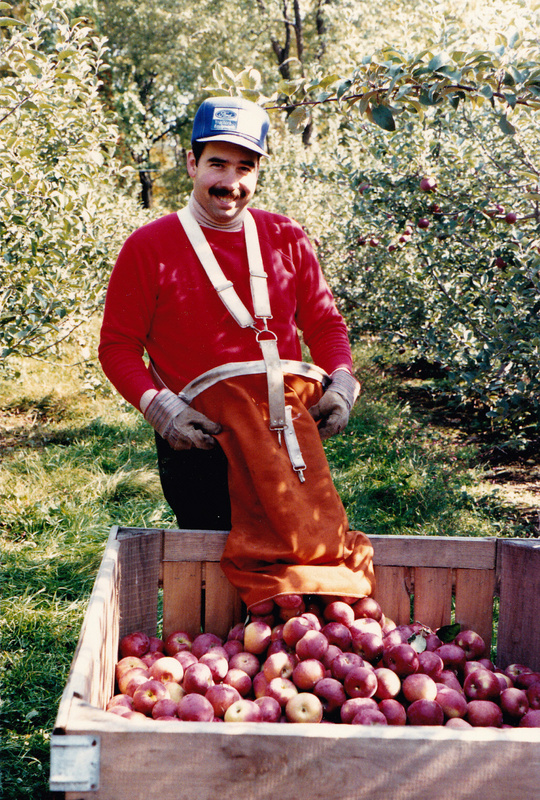 Since we lack long-term apple storage, we only sell fruit fresh from the tree. Therefore, our last day of the 2015 season will be Sunday, November 8. Red Delicious: Sweet and crunchy. Great for snacking and salads. Golden Delicious: Perfect for snacking and baking, sauce-making. Melrose: Similar to a Gala or Jonagold. Juicy and sweet, but not too sweet. Ida Red: The tartest apple we have now. Ideal for holiday pies! 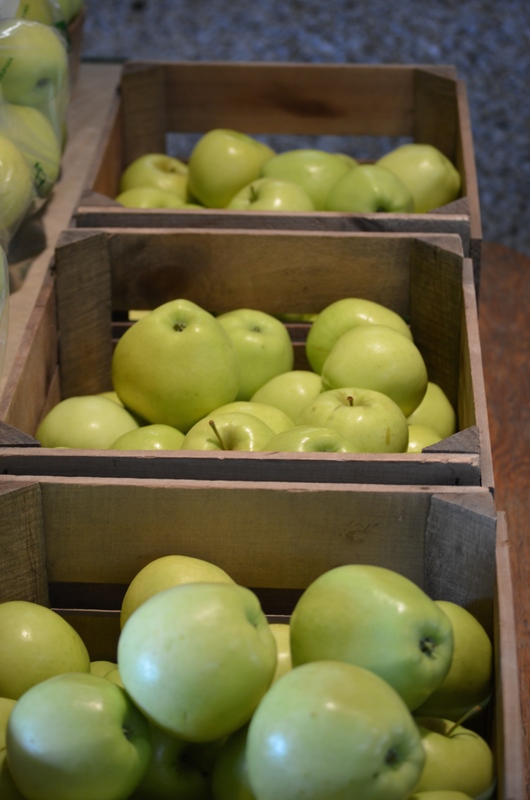 Speaking of the holidays, our fresh apples should keep in the fridge for up to 3 weeks. If you’re thinking about making an apple pie for Thanksgiving, make one last trip to the orchard to stock up! We also have jams and local honey, which make a nice host/hostess gift. Have you ever wondered how a commercial apple washer works? Or what one looks like? Oh, you haven’t?! Well, let us show you ours, anyway! 1990 | Kermit operates the new apple washer. The apples are brought into a tunnel where they are rinsed clean with spring water – very similar to a car wash! They are gently scrubbed with the white sponge rollers; then buffed with the black brush rollers. At the end they roll into a padded collection area where we inspect and sort each one. 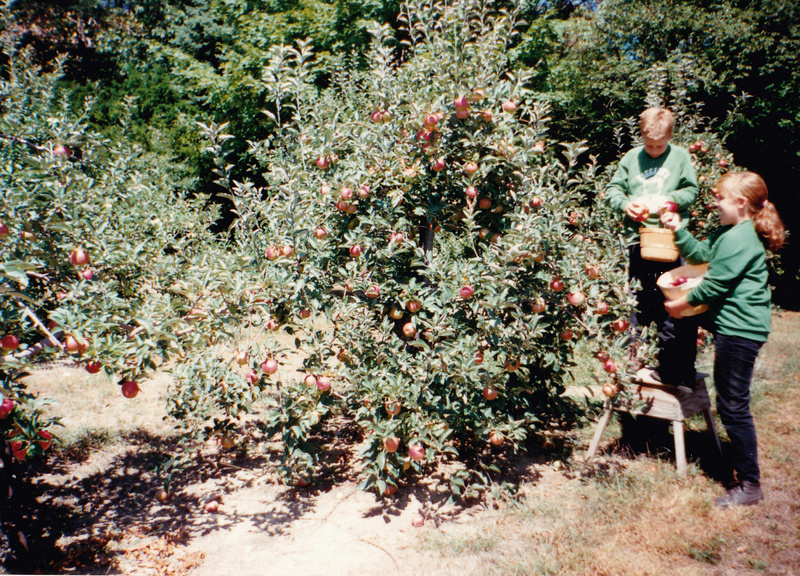 1995 | Taggart grandchildren pick apples. While this photo might have been a “tiny” bit staged – with their matching Taggart sweatshirts and decorative baskets – Taggart’s is very much a family business. Four generations of Taggarts now live and work on the family farm. And if you visit the barn during the week, you may have met our dear neighbor, Carol, who assists with sales. Other than a few extra friends who have helped with large harvests – that’s it! Thank you for supporting local agriculture this year. We hope to see you this week and check our Facebook and Instagram during the off-season for a preview of the 2016 apple crop! We have quite a selection of apples this week! Golden (Yellow) Delicious are here! This is popular eating apple is the sweetest variety we have at the moment. 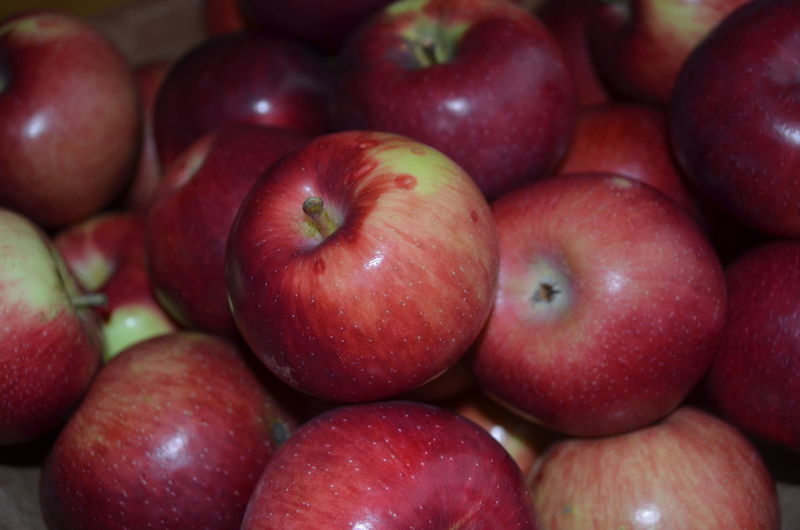 We also have Cortland apples: tart and great for baking. Many folks enjoy snacking on them, too. Empire and Spartan varieties are a mix of sweet and tart. Empire are naturally a smaller sized apple, making them perfect for lunch boxes. Both would make great pies and sauce, too. We are expecting Red Delicious and Jonagold to be ready this weekend, but please call ahead to check. Apples reach their peak at slightly different times each year due to the weather. We won’t sell them until they’re ready! Of course, we have more 30th Anniversary photos and memories to share with you! 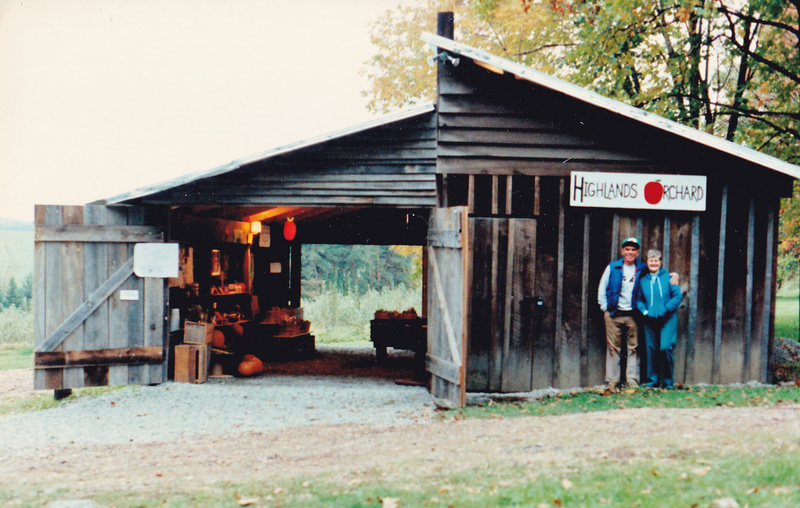 The doors to the apple barn in opened in 1985, and as you can see we have preserved the “historical integrity” of the structure! Not much has changed in 30 years! 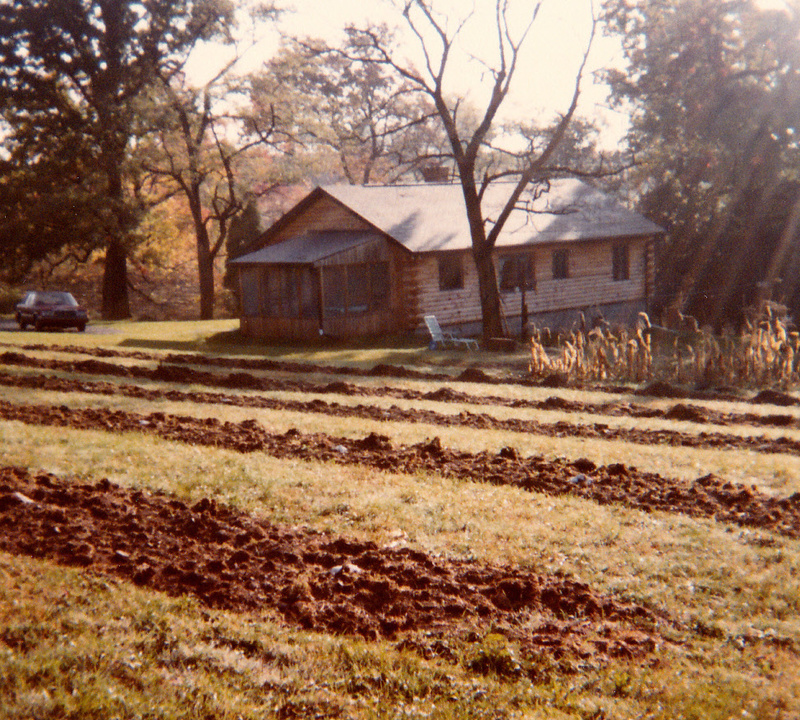 1987 | Taggart’s Orchard apple barn – looks remarkably similar today! 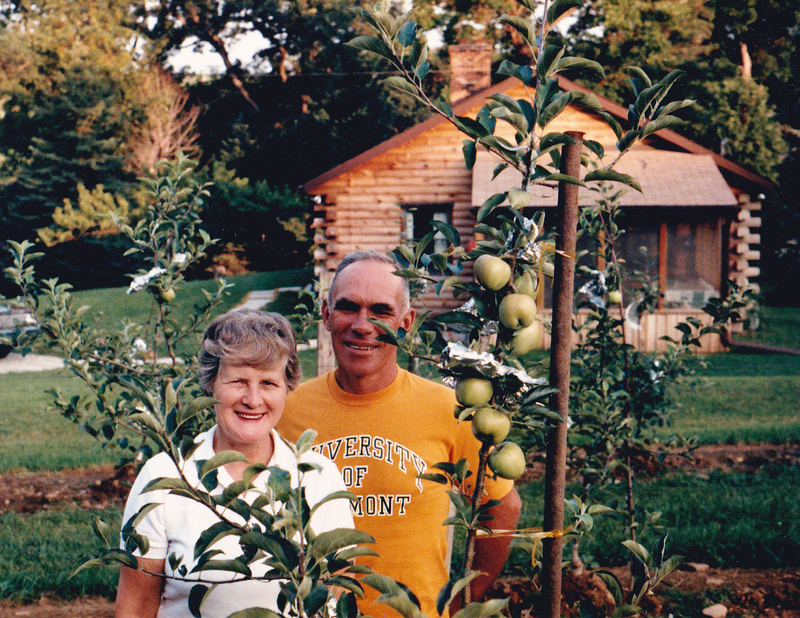 Kermit and Louise Taggart operated the orchard by themselves until their daughter, Nancy, and husband John returned to the family farm in 1989. Nancy and John (Tilley) have assumed more orchard duties in recent years as they have both retired from careers in non-profit fundraising and banking, respectively. 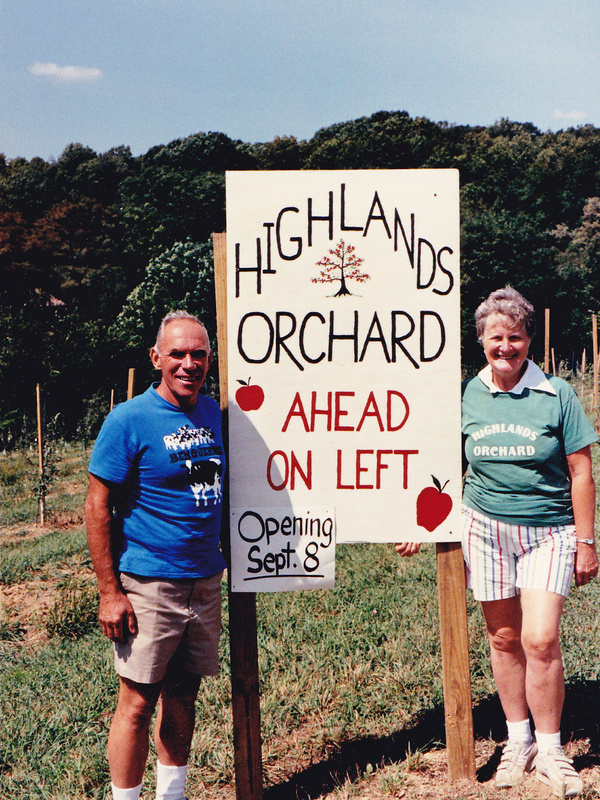 1989 | Kermit and Louise pose by a new section of orchard. Some of these trees have ended their useful life and have been removed from the orchard in recent years. However, we are making plans to replant to continue growing and selling apples! Stay tuned! 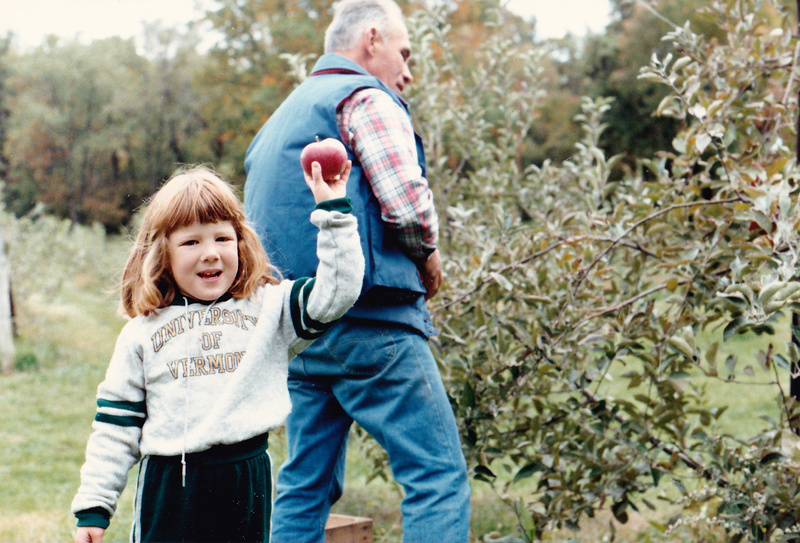 1987 | Katelyn, a grand-daughter of Kerm and Louise, gets her first taste of agriculture (literally!) and makes plans to run the farm one day!